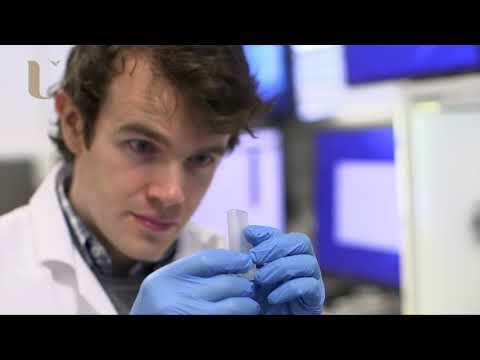 Funded PhD Opportunity MicroRNA-based Therapeutics for Fibrosis in Glaucoma. Glaucoma is a major cause of irreversible blindness, affecting more than 60 million people worldwide increasing to an estimated 79.6 million people by 2020. Primary open-angle glaucoma (POAG) is the commonest type of glaucoma and intraocular pressure (IOP) is an important modifiable risk factor. Elevated IOP in POAG is due to increased resistance to aqueous humour outflow and is the only treatable risk factor for glaucoma. Elevated IOP results from increased aqueous humour outflow resistance, a result of several morphologic and biochemical changes in the trabecular meshwork (TM); changes in the number of TM cells and the extracellular matrix (ECM) within the TM. There is a large body of evidence that transforming growth factors - β1 and - β2 (TGF-β1 and -β2) play an important role in the pathogenesis of POAG. As well as playing a fundamental role in the pathogenesis of POAG by altering TM function and outflow facility and elevating IOP, TGFβ also has a deleterious effect on surgical outcomes for glaucoma causing post-operative scarring and surgical failure. MicroRNA (miRNA) based manipulation of the TGFβ signalling pathway is a new approach to target fibrosis following glaucoma surgery. MicroRNAs are small, non-coding RNAs which are important regulators of eukaryotic gene expression in most biological processes. miRNA-based therapeutics is an emerging field which is beginning to enter the clinical arena. In preliminary studies using genome-wide micro-arrays and small RNA-Seq we have identified miRNAs which are upregulated following TGFβ treatment of TM cells; we have termed ‘GlaucoMirs’. The specific impact of manipulating these ‘GlaucoMirs’ on the TGFβ signalling pathway could herald the generation of a new class of therapeutics for the medical and surgical management of glaucoma. The aim of this studentship is to develop microRNA-based therapeutics to control fibrosis in glaucoma. A number of human and animal (porcine/bovine) cell and tissue models are available to support this project. We have an established ex vivo glaucoma perfusion model which the student will validate using porcine and/or bovine eye and utilise to perform microRNA manipulations to determine therapeutic endpoints. This ex vivo organ culture model which maintains the anterior segment of a pair of porcine/bovine eyes and glaucoma (raised IOP) is induced with TGFβ infusion in one eye; the untreated eye remains as control. miRNA mimics or inhibitors can be perfused to rescue IOP and downstream evaluation of mRNA, protein and structure can be evaluated directly in the TM. Drug delivery and efficacy can also be tested. The specific objectives are: (1) Establish and validate a porcine and/or bovine glaucoma perfusion model. (2) Confirmation and identification of ‘GlaucoMirs’ using bioinformatics data mining and analyses combined with miRNA qPCR. (3) Experimental validation of miRNA targets. (4) Therapeutic manipulation of miRNAs as a phenotypic rescue to control fibrosis in glaucoma.